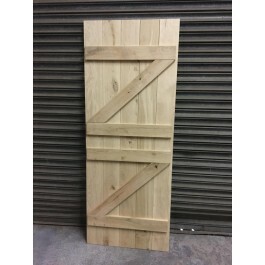 Our Solid Hardwood Oak doors available are available in a choice of sizes and finishes. The braces are included in the price but are not fitted, this is to allow the correct fitting on site in accordance with the hinges. They can be fitted if requested. 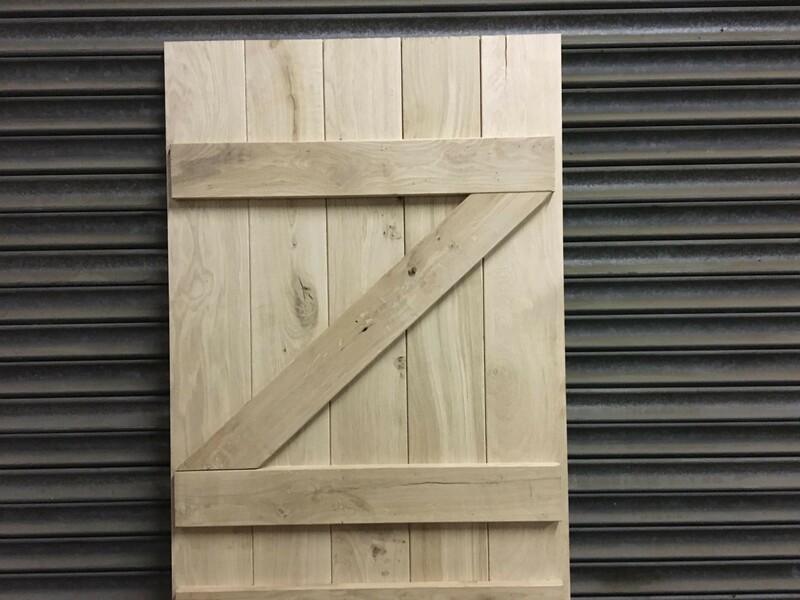 This product is for a solid ledge and brace stable door, the door can be supplied it 2 parts (cut to size prior to despatch) or made as one (to be cu on site). The bottom ledge on the top half of the door is as standard constructed to form a closing rebate. 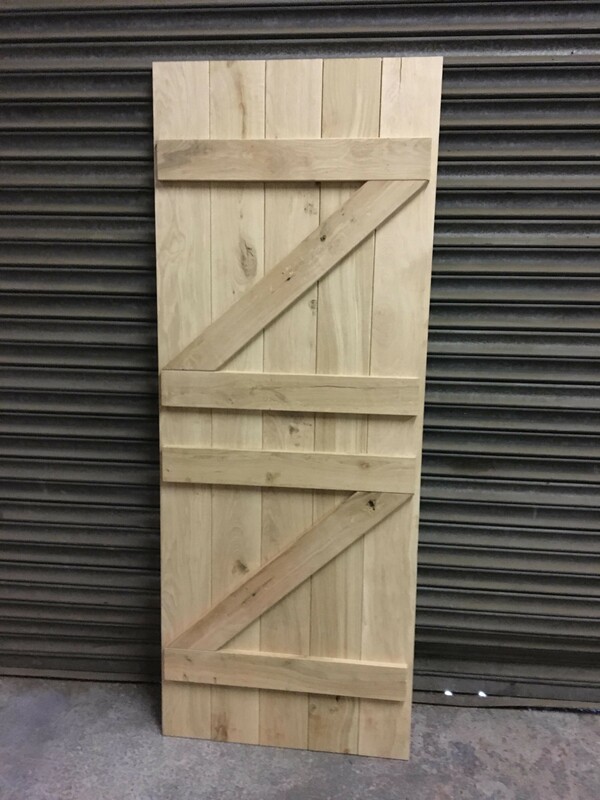 All of our doors are handmade at our factory in Lincolnshire, therefore we are able to ashere to any specifications rou may have and make any custom size you require. 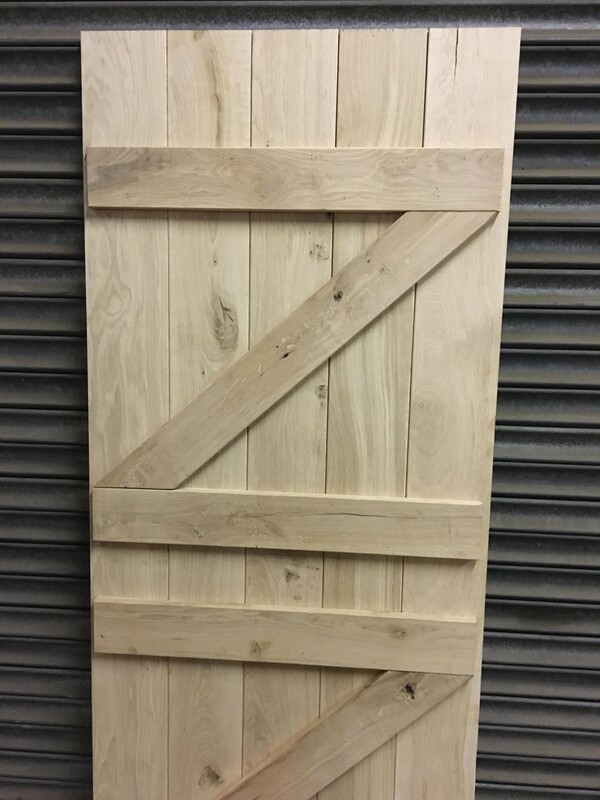 All our doors are made of solid Oak, They are a rustic finish(character) and have natural knots . If you select an unfinished product knots will not be filled. If you have selected a Lacquered or Oiled finish all knots will be fill and sealed. If you would prefer a clean finish (prime) free from knots or imperfections please ask.